Home / Acupuncture for Skin Disorders / Can Acupuncture Help Clear Up Skin Disorders? Acne is a normal condition, which comes during puberty. Acne is formed by your hair follicles becoming clogged with oil and turn into blackheads, whiteheads, pimples, etc. Acne is hereditary, so sadly you cannot stop it from happening if your family has had acne problems. While it usually just lasts 5-10 years after beginning puberty, for some it can last a lot longer. 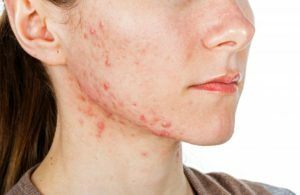 Acne is embarrassing to some, so of course they would seek out any possible treatment for it. Eczema is described as red, itchy, inflamed skin. Eczema is manageable and only comes out during flare ups. It’s best to know what triggers your flare ups, have a good skin care routine, and to use medication as prescribed to you. There are different forms of eczema so you have to know which eczema condition you have so that it can be properly treated. In Chinese Medicine, it is said that an imbalance in the Lungs is what causing skin conditions. The lungs allow the skin to breathe by opening and closing the pores. An element of heat in the lungs is what causes the itchiness and redness of the skin. Once the acupuncture helps control the symptoms of the redness and itchiness, you will see a drastic change in the inflammation and redness after you stop scratching. Acupuncture will also help with stress and improving your sleep, which both of those things can cause your eczema to flare up. 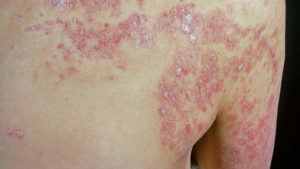 Psoriasis is an autoimmune disease that results in patchy, flakey red spots all over the skin. Everyone is affected differently by psoriasis so treatment varies by what works for you and the severity of your flare up. You can go through so many medications until you find the one that works for you. Even when you find that one medicine, there is no guarantee that it will one day stop working. While psoriasis does not have a cure, it is best to find a treatment that works to calm down your flare ups. Because acupuncture is treating the body as a whole, and psoriasis is an autoimmune, it is definitely a safe effective way to try and treat psoriasis. A big trigger for psoriasis is stress. By reducing stress in the body, your psoriasis should start to calm down. 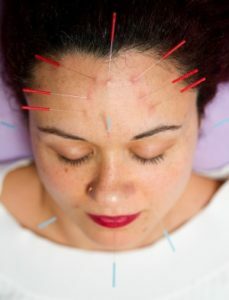 An acupuncturist, Jamie Starkey, stated that by using acupuncture needles around the psoriasis flare up, it may promote the flow of Qi to the area to balance the immune response. 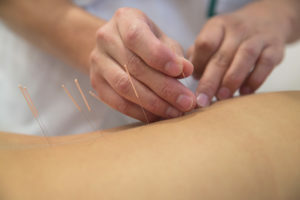 Because acupuncture is used to treat other auto immune disorders, such as arthritis, Starkey believes the treatment of psoriasis should be no different. 2015. Acupuncture for Eczema & Skin Disorders. Pacific College of Oriental Medicine. Burns, C. 2017. I Tried Acupuncture for Better Skin – And It Completely Cleared My Acne. Willingham, J. 2017. Can Acupuncture Help Your Skin? Here’s What An Acupuncturist Has To Say. Bustle. Wu, B. 2015. Acupuncture and Its Role in Treating Skin Disease. DermNet NZ. Alban, J. Five Reasons Why Acupuncture Helps Eczema. Dermveda. Gotter, A. 2017. Acupuncture for Psoriasis. Healthline. Joswick, D. Treatment of Skin Conditions with Acupuncture. 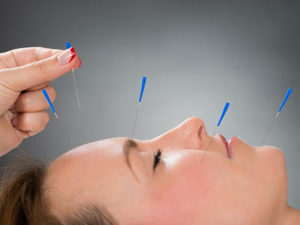 Acupuncture Referral Services. Lee, K. Lio, P. Alternative Routes: Acupuncture, Acupressure, and Eczema. Iliades, C. 2013. Can Acupuncture Help Your Psoriasis? Everyday Health. 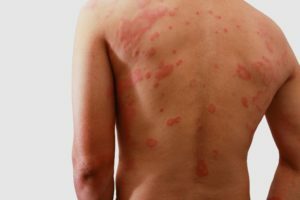 Acupuncture for Eczema. Ravenswood Chiropractic & Wellness Center.